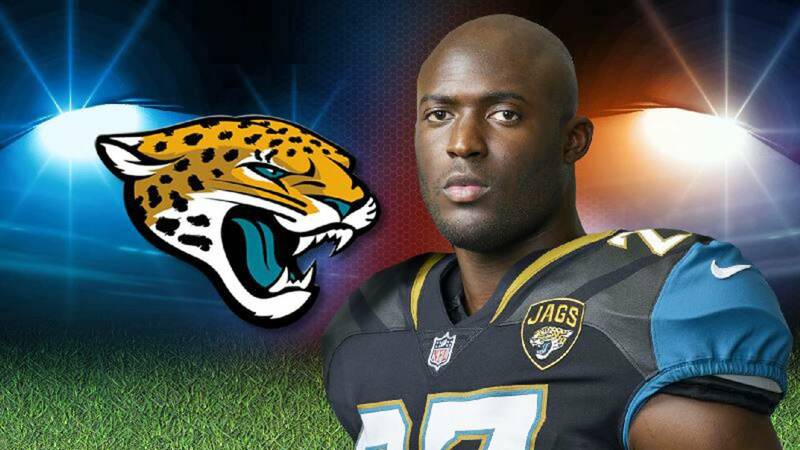 JACKSONVILLE, Fla. - The thought of Jacksonville parting ways with running back Leonard Fournette would have been unimaginable a few months ago. It's much more plausible now. The Jaguars have notified Fournette that his suspension late last month voided the remaining guarantees in his four-year rookie contract, according to a person familiar with the situation. The person spoke to The Associated Press on the condition of anonymity Sunday night. The person said the Jaguars notified Fournette of the action weeks ago. Fournette could challenge the decision. Regardless, Fournette's standing with the team reached a new level of unrest Sunday and raised speculation about his future with the franchise. Fournette and fellow running back T.J. Yeldon spent most of a 20-3 loss at Houston in the season finale on the bench, disengaged from teammates. "Their behavior was unbecoming of a professional football player," Coughlin said in a statement. Fournette has proven to be far from an ideal pro in Jacksonville, and it's clear the team is growing tired of his unchanging ways. A team captain and the centerpiece of the team's offense, Fournette is due to make $7.1 million in the final two years of what had been a fully guaranteed, four-year rookie deal worth $27.15 million. If Fournette fails to successfully appeal the void, the Jaguars could cut him without incurring any future financial obligations. It also might make trading for him more attractive to other teams considering the reduced financial risk. The fourth overall pick in the 2017 draft has missed 11 games in two seasons because of injuries and suspensions. Fournette ran for 439 yards and five touchdowns in eight games this season. He ran for 1,040 yards and nine touchdowns as a rookie. But he also was suspended one game in 2017 for leaving early during the bye week and suspended a week without pay for leaving the bench, running across the field and instigating a fight with Buffalo defensive end Shaq Lawson on Nov. 25. Fournette lost nearly $100,000 in salary during the weeklong suspension. It could cost him considerably more if the Jaguars decided to cut him with no guaranteed money remaining. Jacksonville also could give him a chance to change his ways. He's due to make $2.9 million in 2019. Coughlin, coach Doug Marrone and general manager Dave Caldwell all will return next season , and Marrone said fixing the team's culture will be a priority. "We have a ways to go, and that starts with me," Marrone said. "When you sit here and ask about the culture and what it may be, maybe it's not, that falls on me. I did not do a good job there, period. That's one of the things I'm hard on myself, but I'm also honest with myself. "At the end of the day, we can talk about this player or that player and the locker room and all of that. That's all on me. That's all on me."